The Iowa Agricultural College is founded on March 22 when Governor Ralph P. Lowe signs a bill to establish a State Agricultural College and Model Farm. In the beginning, eleven classes were taught in two curricula—agriculture and mechanic arts. (The latter is now referred to as engineering.) From the mechanics course, the school began almost immediately to develop programs in several branches of engineering. The 26 members of Iowa State’s first graduating class included four civil and two mechanical engineers. The college motto, “Science with Practice,” is first used. Iowa State College grants the nation’s first master’s degree in engineering. 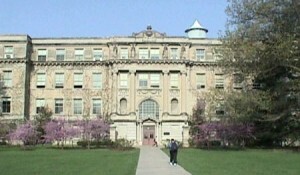 Iowa State College establishes a Department of Physics and Electrical Engineering, offering courses in electrical engineering and physical science. The Marston Water Tower, the first steel and tallest water tower west of the Mississippi, is built. Anson Marston, the head of civil engineering at the time and later the dean of engineering, designed the tower to provide an adequate supply of water on campus. Using steel instead of wood allowed him to double the load requirements and elevate the 162,000-gallon barrel more than 150 feet. 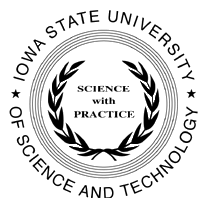 The Board of Trustees adopts an official seal with the college’s new name, The Iowa State College of Agriculture and Mechanic Arts—Science with Practice. Four divisional groupings are made: agriculture, veterinary science, engineering, and science and philosophy. Engineering Hall (now Marston Hall) is built at a cost of $218,500. The Iowa Legislature passes a bill that appropriates $3,500 for the establishment of the Iowa State Highway Commission to create better roads for automobiles. The appropriation was eventually administered by the dean of engineering, Anson Marston, and the dean of agriculture, Charles F. Curtiss. Anson Marston becomes the first dean of engineering. He develops the Engineering Experiment Station—the nation’s first research agency organized in an engineering school. The purpose was to support faculty research in the emerging areas of science and technology and then transfer the results to the state’s industries. Professor Jay Brownlee (J. B.) Davidson arrives on campus and leads the development of the nation’s first four-year course in agricultural engineering. Research in geotechnical engineering begins, providing the foundation for Iowa State’s leadership role in highway systems research. The Iowa Legislature mandates a course in ceramic engineering to meet the demand for technical support for manufacturers of ceramic drainage tiles. Tau Beta Pi, an engineering honor society, is installed on campus. The Department of Electrical Engineering is created when electrical engineering and physics split into two departments. The first agricultural engineering degree in the world is granted to Jacob E. Waggoner. The engineering student body begins an annual celebration of St. Patrick’s Day in honor of the patron saint of engineering. The industrial engineering core curriculum is established. 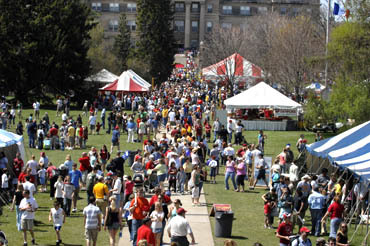 VEISHEA, the nation’s first and largest student-run festival, is started by combining the festivals celebrated by each division. Professor Frank Paine, electrical engineering, submits the winning name for the new celebration. The letters stand for the first letters of the divisions: V—Veterinary Medicine, E—Engineering, IS—Industrial Science, HE—Home Economics, A—Agriculture. Iowa State College confers its first PhD in engineering to Douglas Vern Moses in chemical engineering. The Department of General Engineering (the predecessor to industrial engineering) is established with offices in Engineering Hall(now Marston Hall). 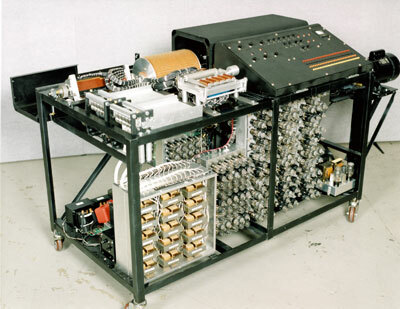 The world’s first electronic digital computer (Atanasoff-Berry Computer) is built by Iowa State physics professor John Atanasoff and electrical engineering graduate student Clifford Berry. The State Board of Education approves an aerospace department to be administrated by the Department of Mechanical Engineering. Frank Spedding and Harley Wilhelm develop a uranium purification method necessary for a self-sustaining atomic reaction. The Curtiss-Wright Cadettes Program is established to train college women to function during World War II as assistants in the engineering department. Sponsored by the Curtiss-Wright Corporation, the course consists of work in methods, mechanics, drafting, and processing. Engineering Hall is named Marston Hall in honor of Anson Marston, longtime professor and the first dean of engineering at Iowa State. Marston was informed of the honor on May 31, 1944, at a small dinner commemorating his 80th birthday. The U.S. Atomic Energy Commission formally announces the location of one of its major research facilities at Ames, to be known as the Ames Laboratory. Frank Spedding is named its first director. A degree in industrial engineering is offered. An option in industrial engineering had been available for mechanical engineers since 1919. Distinguished professorships are awarded for the first time in Iowa State’s five divisions of agriculture, engineering, home economics, science, and veterinary medicine. On July 4, the Iowa State College of Agriculture and Mechanic Arts is officially named the Iowa State University of Science and Technology. Engineering and the other four divisions are now colleges. David Nicholas, a student in electrical engineering, develops a filter and synchronization mechanism for Huffman codes, which is later used in fax machines. Tau Beta Pi, an engineering honor society, allows women to join as full-fledged members. The Department of Materials Science and Engineering is formed by the merger of the previously existing Departments of Ceramic Engineering and Metallurgy. The National Aeronautics and Space Administration selects Iowa State and the College of Engineering as the site for one of seven U.S. centers of excellence in computational fluid dynamics. 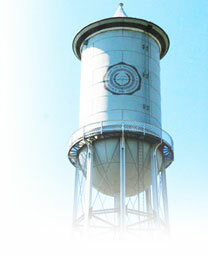 The Marston Water Tower is placed on the National Register of Historic Places. The Center for Nondestructive Evaluation is formed as a National Science Foundation Industry/University Cooperative Research Center. The Program for Women in Science and Engineering is founded to increase the representation of women in science, engineering, and technology-related fields. The Iowa State University Research Park (a 230-acre development) is founded to provide space and resources for technology-based firms and research organizations. 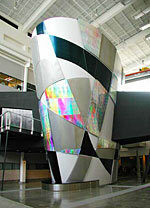 The Charles W. Durham and Margre Henningson Durham Center for Computation and Communication opens. The Durhams are 1939 graduates of Iowa State whose $3-million contribution to expand computer facilities led to the construction of the center. The Iowa Center for Emerging Manufacturing Technology, which focuses on using virtual-reality technology to solve problems of engineering and science, is established. James Bernard, professor of mechanical engineering, is director of the center, which becomes the Virtual Reality Applications Center in 1999. The first solar car, PrISUm, is developed as a Tau Beta Pi project. Eventually, the group becomes Team PrISUm. The Archives of Women in Science and Engineering is inaugurated. An interdisciplinary MS in systems engineering is started. A $7-million gift, including the single largest cash donation ever given to Iowa State University (not including estate gifts), is announced. The gift, $6 million from Stanley and Helen Howe and $1 million in furniture from HON Industries, is for the first phase of the Engineering Teaching and Research Complex (ETRC). The ETRC is the largest capital project ever undertaken at Iowa State. C2, an advanced computer-driven virtual reality synthetic environment facility, opens in Black Engineering. A 12-by-12-foot room, C2 has a 50 percent larger active area than other similar installations allowing researchers to mix physical objects with virtual environments. The working replica of the Atanasoff-Berry Computer is unveiled in Washington, D.C. The Iowa Center for Emerging Manufacturing Technology is renamed as the Virtual Reality Applications Center. Stanley and Helen Howe Hall is dedicated. 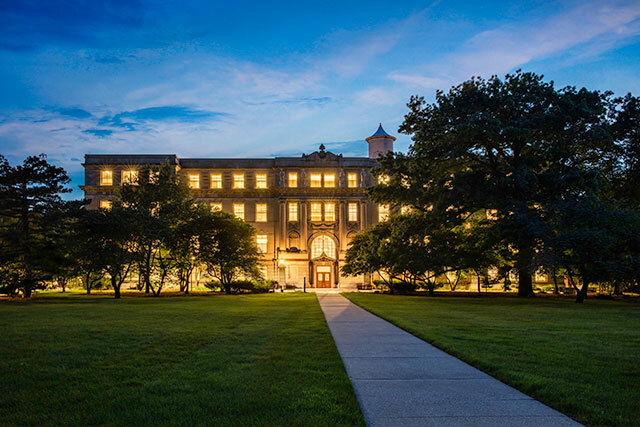 The first of the two-building Engineering Teaching and Research Complex, Howe Hall houses the Department of Aerospace Engineering, the Center for Industrial Research and Service, Engineering Distance Education, and the Virtual Reality Applications Center. Iowa State’s Society of Women Engineers chapter wins five national awards, including first place for the best student outreach program in the nation. The country’s first six-sided virtual reality environment, the C6, opens in Howe Hall. The $6-million C-6 is designed to immerse users in images and sound. The Departments of Industrial and Manufacturing Systems Engineering and Electrical and Computer Engineering partner with the University of Iowa’s College of Business to offer an Executive MBA program. The College of Engineering is a key player in four of the six presidential initiatives announced—combinatorial discovery, human computer interaction, bioeconomy, and information infrastructure. The Gary and Donna Hoover Hall is dedicated. The building completes phase two of the Engineering Teaching and Research Complex and is home to the Department of Materials Science and Engineering, Engineering Computer Support Services, and labs for the Department of Industrial and Manufacturing Systems Engineering. The Institute for Combinatorial Discovery is founded, with a focus on the development and application of parallel computing techniques for the rapid discovery of new materials. The Office of Biorenewables Programs is established to oversee a campuswide effort to investigate the use of biorenewable resources as sustainable feedstocks for producing chemicals, fuels, materials, and energy. Iowa State is one of the first universities in the world to offer master’s and doctoral programs in human-computer interaction. A one-of-a-kind tornado and microburst simulator is constructed in the Wind Simulation and Testing Laboratory in Howe Hall. The simulator creates a tornado-like vortex that is four feet in diameter and can move in a path similar to real tornados. While Hollywood technically has the largest such machine, this simulator is the largest ever built for engineering purposes. One of the world’s fastest supercomputers, IBM BlueGene/L, arrives on campus. The C-6 in the Virtual Reality Applications Center undergoes a multimillion-dollar renovation so that it now projects more than twice the resolution produced by any other virtual reality room in the world. The Center for Biorenewable Chemicals (CBiRC) is founded with funding from the National Science Foundation (NSF) creating a NSF Engineering Research Center (ERC) focused on advanced manufacturing for sustainable biobased chemicals. Dan Shechtman of Iowa State University’s Department of Materials Science and Engineering, the U.S. Department of Energy’s Ames Laboratory, and Israel’s Technion wins the 2011 Nobel Prize in Chemistry. The College of Engineering’s fall undergraduate enrollment is ranked number nine in in the country. Sarah Rajala is appointed the 12th dean of the College of Engineering on April 1, 2013 – the first woman to hold this position. The College of Engineering’s fall undergraduate enrollment is ranked number eight in the country as the program experiences continued record growth. 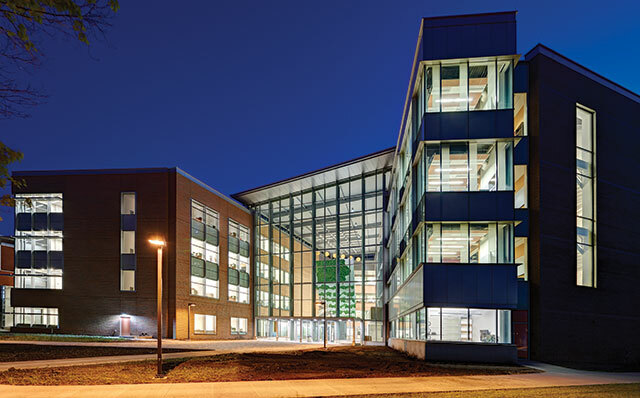 Elings Hall and Sukup Hall – the new home for the Department of Agricultural & Biosystems Engineering – were dedicated on Sept. 25, 2014. These two facilities, along with the Biorenewables Research Laboratory dedicated in 2010, make up Iowa State’s Biorenewables Complex. The new Sukup Atrium connects the three buildings. Iowa State researchers begin developing the nation’s first computer security literacy curriculum designed for middle and high school students. The complete teaching program will be free to teachers and is scheduled to be ready for the 2015-16 school year. A $27 million renovation of Marston Hall was completed and a re-dedication was held Sept. 29, 2016. 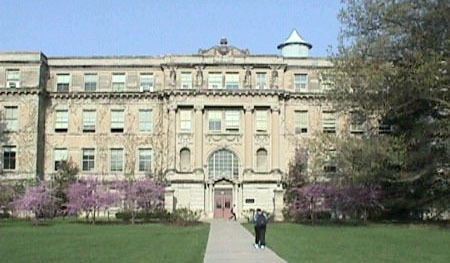 Marston Hall has served as the home of the College of Engineering for more than a century. This iconic building reflects the college’s proud history and it’s role in educating generations of engineers. This renovation recaptured and preserved the past — while looking forward to serving students of the future. Marston Hall was originally completed in 1903 at a cost of $218,500. U.S. News & World Report ranked Iowa State’s agricultural and biosystems engineering program best in the country. College introduces a bachelor of science degree program in cyber security engineering, the first major of its kind offered in the state. The new major – approved by the Board of Regents, State of Iowa – will begin in the fall of 2019.